Did you know that you could increase your paint savings by having the right booth filters and supplies? Having the right equipment also lets you spray your car without a strong paint smell or overspray. If you need to have safe, effective, and efficient painting services, you need to invest in booth filters and supplies. At Sedro-Woolley Auto Parts, we have a comprehensive line of booth filters and supplies. Some of the paint booth supplies we offer include paint booth extraction bags, paint pockets, exhaust pads & panels, paint arrestor pads, ceiling filters, paint arrestor media and rolls, intake pads & panels, FRI panels & media rolls, and pre-filters & bag filters. Visit or call Sedro-Woolley Auto Parts in Sedro Woolley, WA 98284 today for all your booth filters and supplies. At Sedro-Woolley Auto Parts, we also offer shop training through manufacturers. 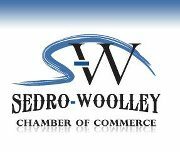 If you or your staff need specialized training, call or visit Sedro-Woolley Auto Parts today. Spray guns and equipment are the gear required to complete a painting job successfully. The quality of painting equipment used will influence the results. For this reason, always use high quality spray guns and equipment. For quality painting gear (manual spray guns, automatic spray guns, air compressors and other painting equipment), visit or call 360-855-0341 Sedro-Woolley Auto Parts today.